Now you see it, soon you won’t. 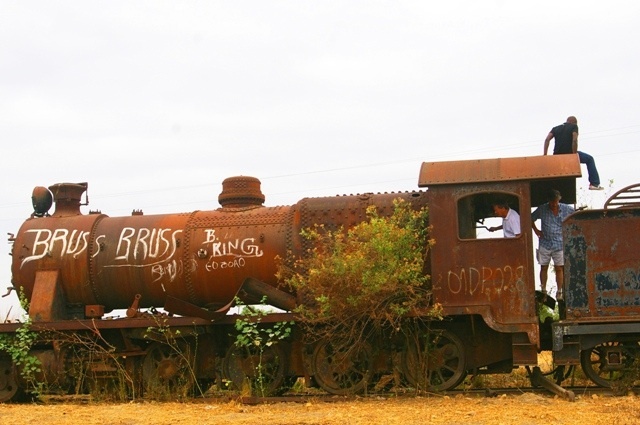 A sad footnote to Angola’s history, the old steam engines and trains that have graced the entry to the town of Catete for decades, are being cut up and will soon be only scrap metal. Better rush out and see them now because in a few weeks they won’t be there.